Kersti Kaljulaid, the President of Estonia is sure that the events in Georgia in 2008 and in the Ukrainian Donbas should be called by the proper name. 'War is war and occupation is occupation', she said at the conference dedicated to former Estonian president Lennart Meri as her press service reported. 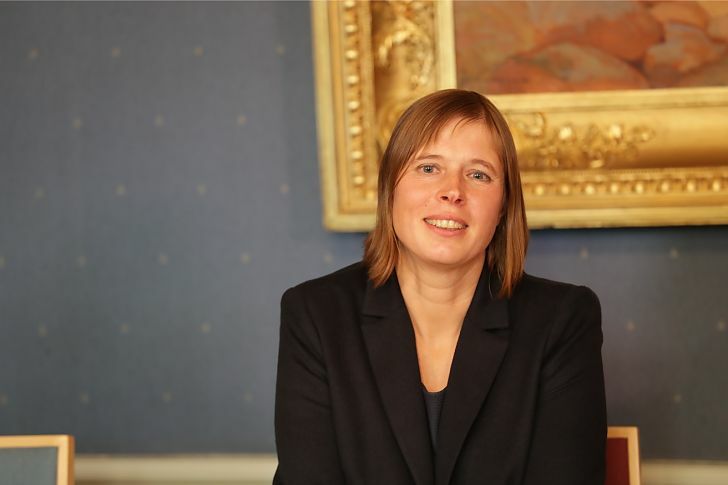 According to Kaljulaid, the international society continues to use the allegoric definitions 'administrative border' or 'frozen conflict' instead of the direct pointing at the problem. 'The democratic and liberal world order based on the rules will be preserved, only if we will not pretend anymore that we are not put pressure by those who think that the interests of the stronger are more important then the freedom of the states and nations', she said. As we reported Kaljulaid visited the demarcation line in Donbas and estimated the work of 'Mayorsky checkpoint and negotiated with people crossing the checkpoint. » President of Estonia called Russia "a difficult neighbor"